Author. Blogger. Speaker. C# MVP. Software Engineer. Geek. 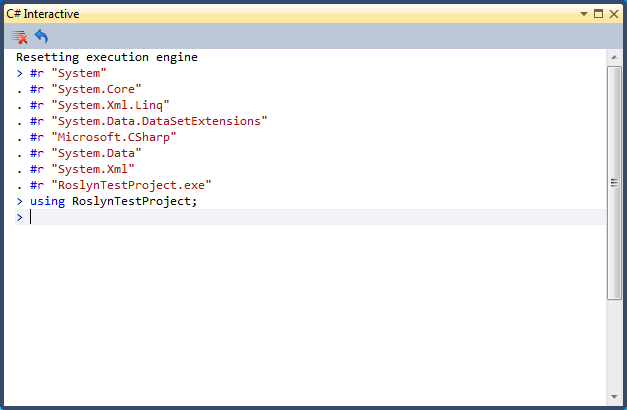 In the previous post we looked over an introduction to the C# Interactive Window that comes with Roslyn, now let's have a look at some things in the c# interactive window that will increase your productivity! I want to thank Kevin Pilch-Bisson ( @Pilchie ) for pointing some of these things out. 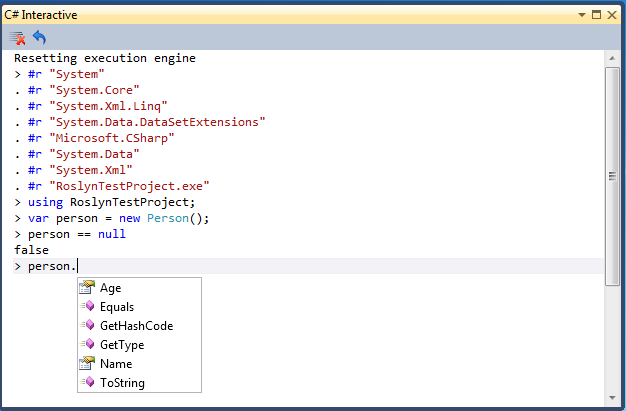 One question that arise when I showed off the C# Interactive Window at work was: This looks great, but can we use types in our current solution? Now this is pretty powerful, because now we can do live testing on our objects with intellisense without actually adding or changing anything in our solution. As I said in the previous post this is nice when you want to test code out and play with it. Let's say that you're completely new to a project, it lacks good documentation and sure you see all the code files and you can navigate around inside them to learn about them, but how do you test everything out? You can write tests for yourself, compile, run test and do that over and over again or you can fire up the C# Interactive Window and start playing around. Have a look at this, I've created an instance of my Person class and then I check if the instance is null or not and instantly the result of this expression is printed out (hence REPL). 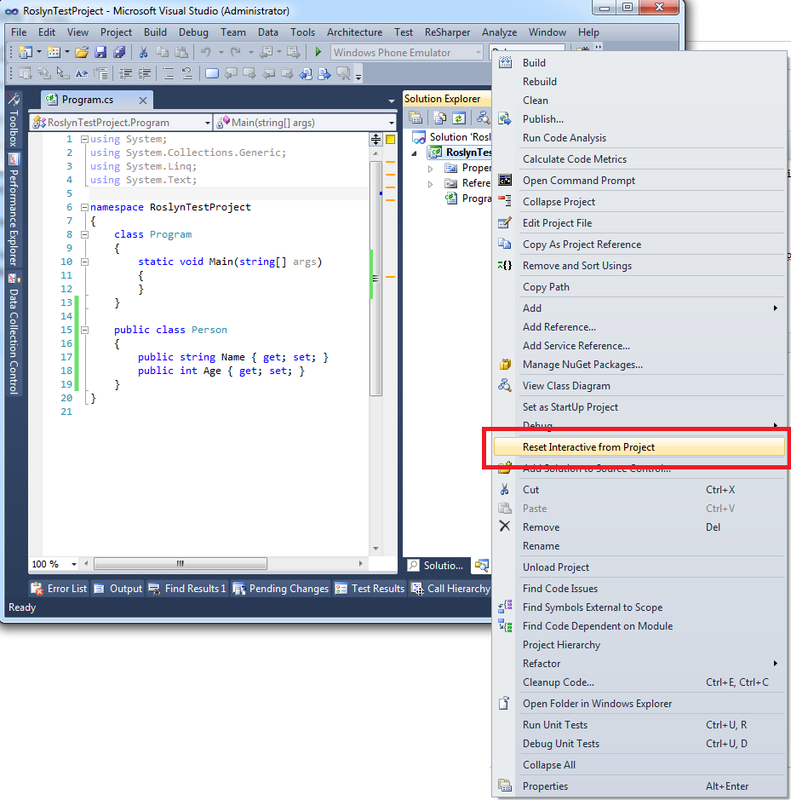 We also get intellisense on our classes which makes exploring and working with the interactive window a blast! 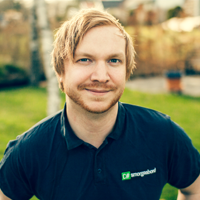 Filip Ekberg is a Principal Consultant at fekberg AB in the country with all the polar bears, Microsoft C# MVP, author of a self-published C# programming book, Pluralsight author and overall in love with programming. 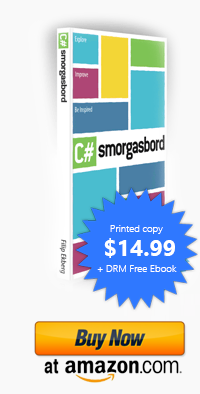 Check out my recently published book.C# Smorgasbord covers a vast variety of different technologies, patterns and best practices that any C# developer should master. All printed copies include access to the e-book bundle (PDF, ePub and Mobi!). Save a tree? 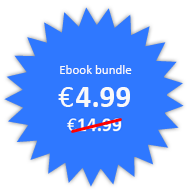 E-book bundle including PDF, ePub and Mobi available for €4.99. Click here to read more! I am a Software Engineer working with various techniques such as C#, WPF, WCF, ASP.NET MVC, ASP.NET and much more. Business owner and Principal Consultant at fekberg AB in Sweden. I spend most of my days working with the latest technologies from Microsoft. This is my personal blog. The views on these pages are mine alone and not those of my employer.